New Years Eve is a very special day. It’s marks the end of one year and beginning the next one. I apologise in advance for the obviousness of this statement. Metaphorically, it’s the day that allows the chucking out of all the baggage from the last twelve months with the hope that it wasn’t labelled ‘return to sender’, and the opening of the first page of a new novel which isn’t yet written. With resolutions in hand, the 1st of January demands a new focus on abstinence, especially after the excesses of the previous week, and a steady hand on the tiller of expectation setting for the year to come… Now, the author of this blog knows quite clearly that abstinence is something which has to be avoided given it’s premise: If it’s on the menu…etc. Fortunately, my New Years Eve party chums were a good mixture of ages and so the resolutions came in many flavours; improve my handwriting, spend more time keeping up with old friends, ride my bike for 120 miles in a day, study hard for important exams, amongst others. I love this kind of optimism. To lean into the idealistic just briefly, it’s these kind of wishes that give hope to the idea that anything can be achieved if a little effort and focus is applied… And your author hopes that you also found the 5 minutes on New Years Eve to consider your own resolutions for 2015. 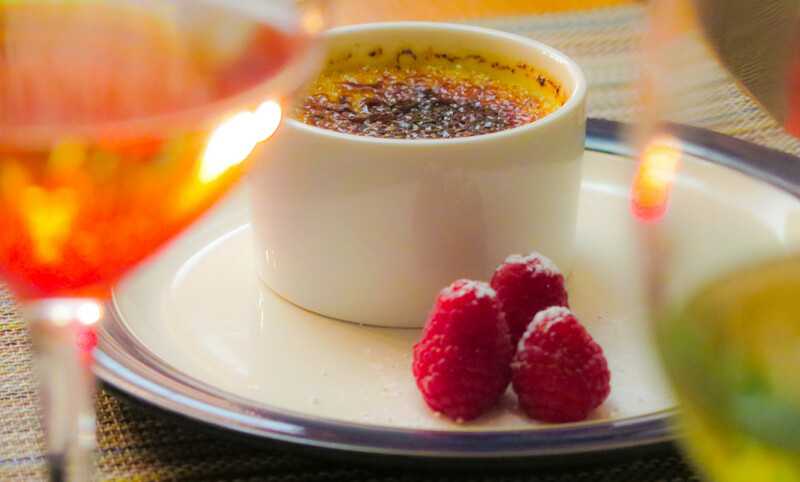 Feel free to tweet them to @trinitycream so we can fuse custard-based dessert blogging and New Year resolutions in one Twitter feed! Clearly, Vikki is a culinary genius. 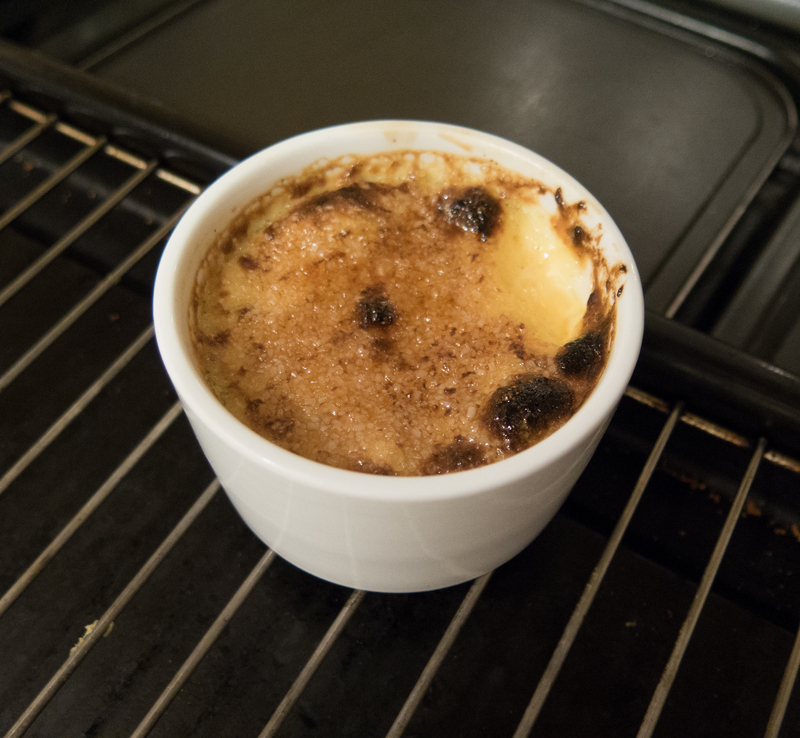 The custard was very smooth and delightfully flecked with vanilla pod, leaving a very subtle hue upon on the tongue. It was neither too sweet nor too heavy, and being of the softer side of set, slipped down very easily. Much debate was had about the sugar. Is demerara the best choice? Or should one choose muscovado, caster, icing or straightforward refined white sugar for the topping? 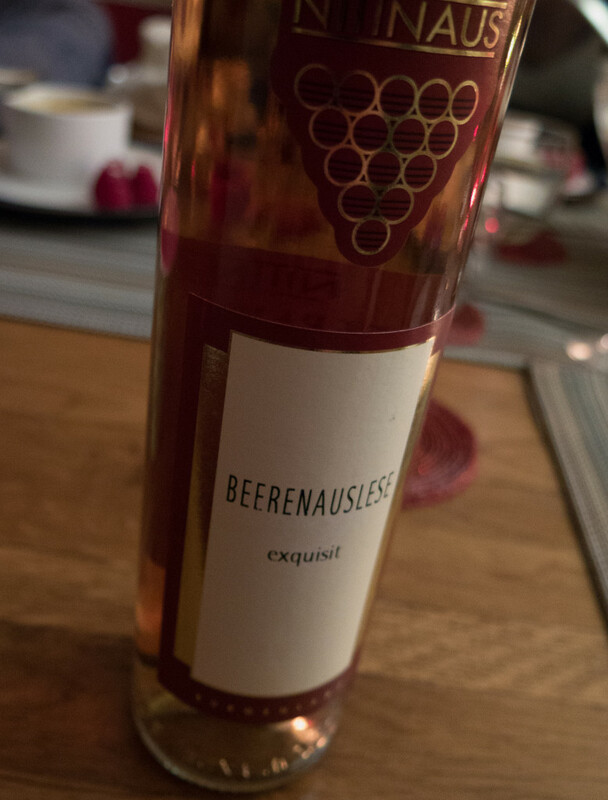 I sense a taste test coming in a future post… We accompanied dessert with a superb Beerenauslese, an Austrian Burgenland dessert wine as supplied by my official (ahem) Austrian wine supplier Rene, which offered the usual amazing velvet smoothness with gentle plumy notes. 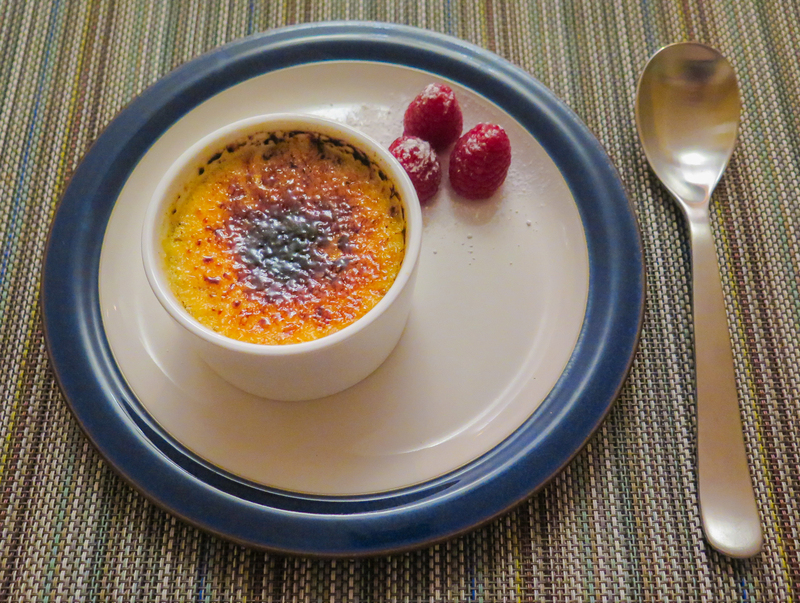 Footnote: One of our junior dinner guests enjoyed her first ever brûlée this evening… and an empty bowl is a good enough recommendation for me. Perhaps a new convert to the cause?! All three other children refused to participate after an initial dip of the spoon. It seems more work is required by the author of this blog to encourage the junior readers to take up the challenge themselves!